Delight her with sparkle from every angle as she wears these lovely triple hoop diamond earrings! .75 CT TW. 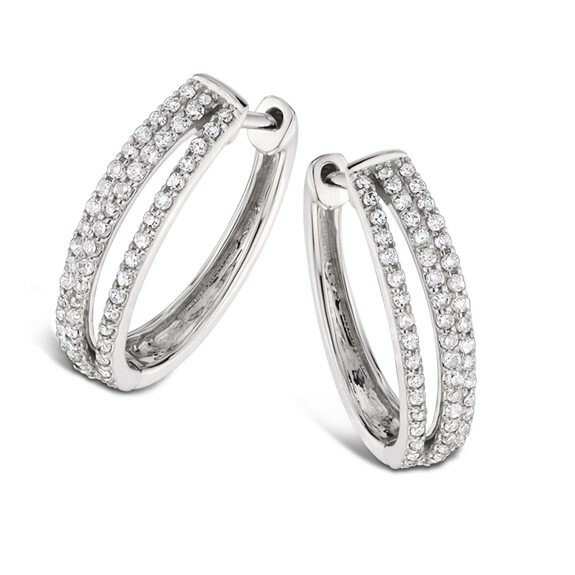 Delight her with sparkle from every angle as she wears these lovely triple hoop diamond earrings!